Constellation Software Acquires Honeywell POMS Corp.
TORONTO, ONTARIO – (Dec. 5, 2012) – Constellation Software Inc. (“Constellation”) (CSU.TO) announced today that it has acquired, through its wholly-owned subsidiary Constellation Homebuilders Systems (“CHS”), 100% of fully diluted shares of Honeywell POMS Corp. (“POMS”) from Honeywell International, Inc. POMS is headquartered in Herndon, VA, with approximately 30 full time employees. Terms of the transaction were not disclosed. 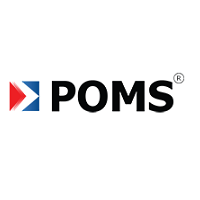 “POMS enables Pharmaceutical and Biologics based manufacturing companies to manage their production systems and help them conform to increasing regulatory requirements. The acquisition of POMS will help Constellation establish a footprint in the Manufacturing Execution System software space,” said Dexter Salna, President of CHS.